Place them in a glass dish, over a pan of boiling water. Wow these things melt slowly. 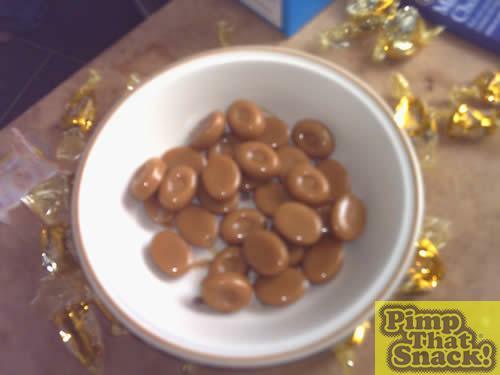 The werther's wouldnt melt properly, and it was getting closer and closer to burning. Big Daddy to the rescue! 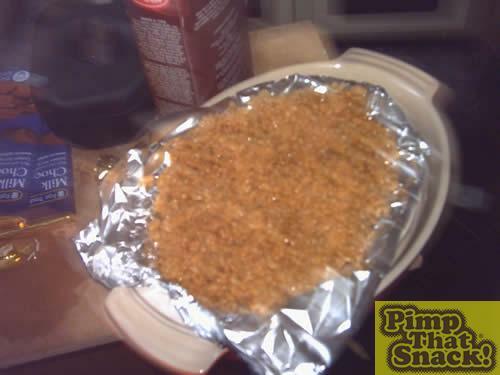 scrape out all the semi-soft werther's mush, and place it in a pan with some butter, and golden syrup. 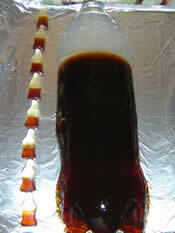 Mix it up for awhile, then add the Demerara sugar, until its a nice goopy consistancy. Wipe the copius amounts of sweat from your brow, and prepare for the fun bit(mashing). 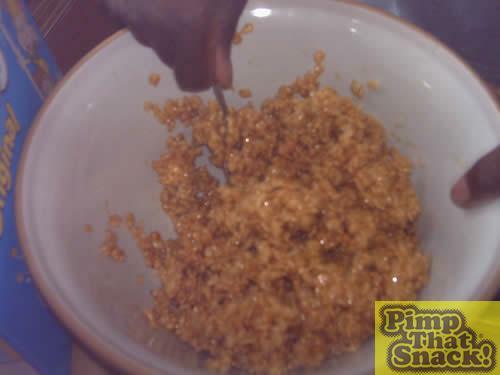 Add the caramel to a bowl full of Rice Krispies, and mix. 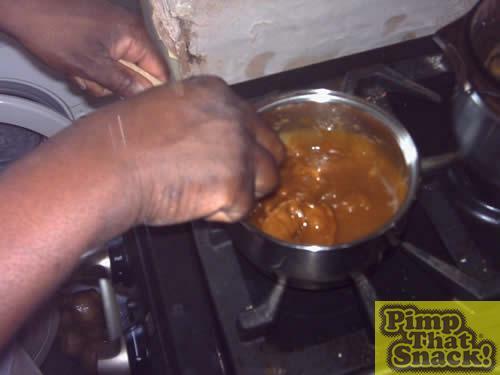 There should be enough to make the mixture nice and thick. Not too thick though, otherwise it'll be sickly. 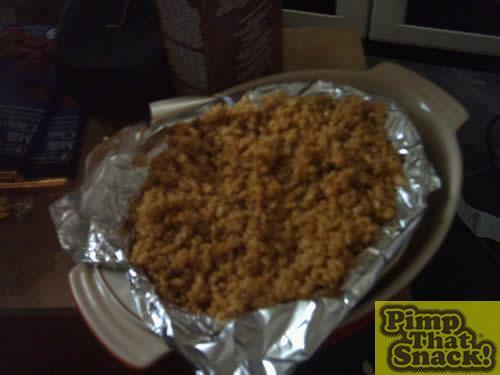 Once you've got the mixture to the right consistancy, pack it tightly into a big dish/pan, and leave it to cool. 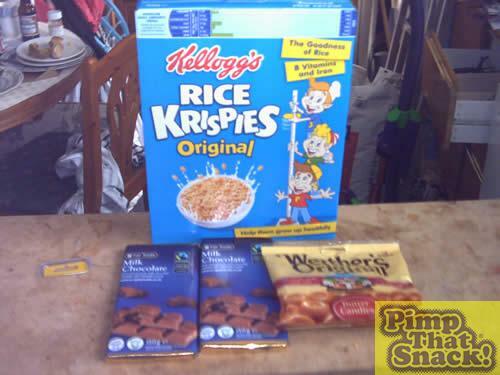 Take the krispie out of the dish/pan, and place it upside down on some greaseproof paper/tinfoil, and get your chocolate melting cap on.